The antiderivative of tanx is perhaps the most famous trig integral that everyone has trouble with. This is because it requires you to use u substitution. 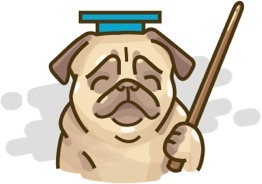 Let us take a look at the function we want to integrate. Now we are able to use u substitution. which is the integral of tanx. Since we are on the topic of trig integrals, why don&apos;t we take a look at the integrals of some trig functions? Since tanx is a combination of sinx and cosx, why don&apos;t just find the antiderivative of them separately?Let us go ahead and find the antiderivative of sin and the antiderivative of cosx. A lot of people just memorize that the antiderivative of sinx is simply –cosx. But how exactly does one derive that? There are a couple ways to illustrate this, but I will show you 2 methods. Again, don&apos;t forget to add the constant c.
We will use this later. Now, instead of adding both equations, let us subtract these two equations. which is the antiderivative of sin. These are the two methods in finding the antiderivative of sin. Now let us move on to finding the antiderivative of cosx. Again, people memorize that the antiderivative of cosx is sinx. However, let&apos;s show that it is true by using the two methods we have mentioned earlier. Method 1:Backtrack by using derivatives. Once again, do not forget to add the constant C.
Now if you do not want to guess and test, then we can use method 2.
which is the antiderivative of cosx. 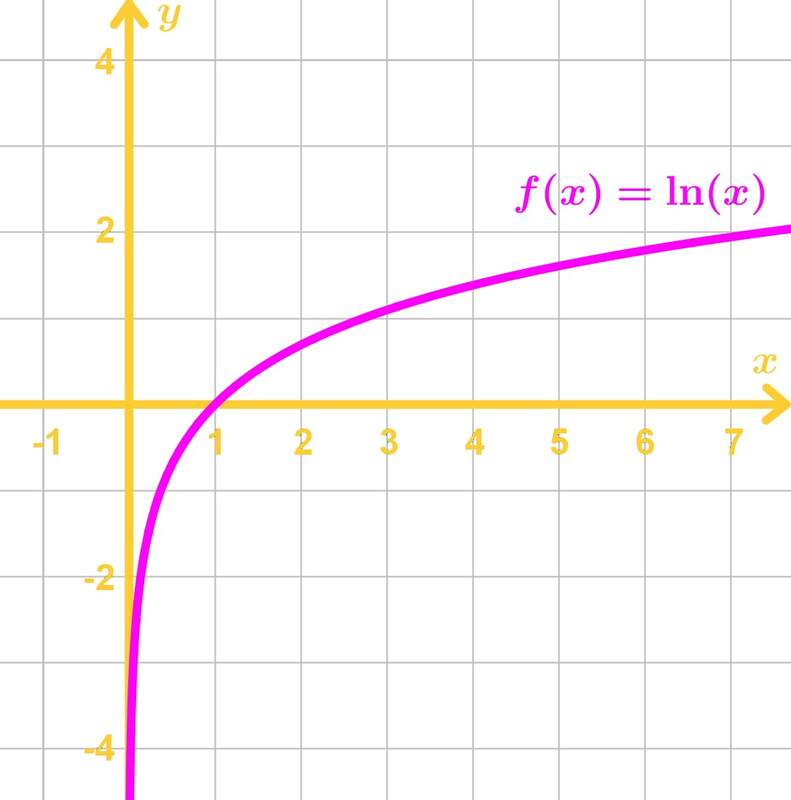 If you want to look at more antiderivatives of trig functions, then I suggest you look at the second section of this article "Antiderivative of trig functions"
Now if you&apos;re wondering if it is possible to take the antiderivative of inverse trigonometric functions, then the answer is yes. Since we&apos;ve found the antiderivative of tanx, sinx, and cosx, why don&apos;t we find the antiderivative of their inverses? Let&apos;s take a look at arctan. What is the antiderivative of arctan? In order to find the antiderivative of arctan, we must know what the derivative of arctan is. If you do not know what it is, we recommend you to look at this article below. It gives a step by step solution in finding the derivative of arctan. If you are not familiar with integration by parts, check out the lessons on it. Now if are interested in finding the antiderivative of arcsin and arccosx, then take a look at these links here. They show a step by step solution in finding these antiderivatives. Notice that the technique is very simple to the antiderivative of arctan. All of them require the use of integration by parts. In this section, we will focus on finding the antiderivative of trig functions that are reciprocals of tanx, sinx, and cosx, well as trigonometric functions which would require half angle identities to integrate. Note that reciprocal trig functions and inverse trig functions are NOT the same. Hence inverse trig integrals are different from reciprocal trig integrals. Inverse trig integrals are the ones we did earlier! One thing to also note is that a lot of antiderivatives in this section require you to know derivative of trig functions as well. So make sure you know them well before tackling these questions. If you are not very good at them, we recommend you to look at this link to practice! What is the antiderivative of secx? There are a few ways to do this, but the best way is to use a shortcut. For this shortcut, we will need to know what the derivative of sec is. If you do not know what it is, you can refer to this link. This link gives a step by step solution for the derivative of sec. First, let us set up our integral for the antiderivative of secx. which is the integral of secx. This shortcut is really neat, but what if I were to take sec to the power of 2? Does it make it harder to integrate? It is actually easier! What is the antiderivative of sec^2? Again, I will show 2 methods. Method 1: Backtrack by using derivatives. Splitting an integral into two is one of the properties of integrals. If you are not familiar with the properties very well, I recommend you check this link out. which is the integral of sec^2. Now let us take a look at other reciprocal functions. What is the antiderivative of cscx? Now you may wonder again, would changing the power of csc make the integral even harder to compute? Not at all! What is the antiderivative of csc^2? Again I will show two methods. You may notice that these two methods are the exact same as the antiderivative of sec^2. In fact, the process is very similar too! Now we might as well finish up by finding the antiderivatives of cotx and cot^2x. which is the integral of cscx. Now let us take a look at our last reciprocal function, cotx. What is the antiderivative of cotx? You may think that taking this integral requires the same trick as taking the antiderivative of secx and cscx, but it is actually different. Instead, finding the antiderivative of cotx only uses the u substitution (very similar to the antiderivative of tanx). So much easier than integrating cscx and secx! See how the process was almost the same as the integral of tanx? Instead of substituting u=cosx, we did u=sinx here. What is the antiderivative of cot^2? So the integral of cot^2x is –cotx-x+C. We have finally finished all the basic trig integrals, so let&apos;s take a look at trig integrals which requires the half angle identities. What is the antiderivative of sin^2? which is the integral of sin^2. Now let&apos;s take a look at another trig integral which utilizes the half angle identity. What is the antiderivative of cos^2? which is the integral of cos^2x. To summarize, we have found the integral of 6 trig functions, as well as their integrals when each and one of them are squared.There is an endless amount of trig functions we can integrate. So if you are looking for an integral that you couldn&apos;t find in this article, then I suggest you look at this link. Unfortunately it does not give you a step by step solution, but at least you will find the solution for your integral. In addition, there are also subjects we have not covered such as hyperbolic integrals. If you are interested in that, then you can take a look at this antiderivative chart at the very bottom. Now that we are done with integrating trigonometric functions, let&apos;s take a look at the natural log. Before going right ahead to integral of the natural log, let&apos;s talk about what exactly ln is and what would integrating help us find. Notice that the only thing we can calculate in this graph without using a calculator is the ln of 1. We see that ln1 in the graph is 0. This is because we know that the logarithm of 1 with any base is 0. The natural log is very interesting because they have very special rules. These ln rules involve the product rule, quotient rule, and power rule. These properties will be very useful when dealing with very complicating ln functions. Now that we know about ln very well, let&apos;s try to find the antiderivative of ln x. What is the antiderivative of lnx? 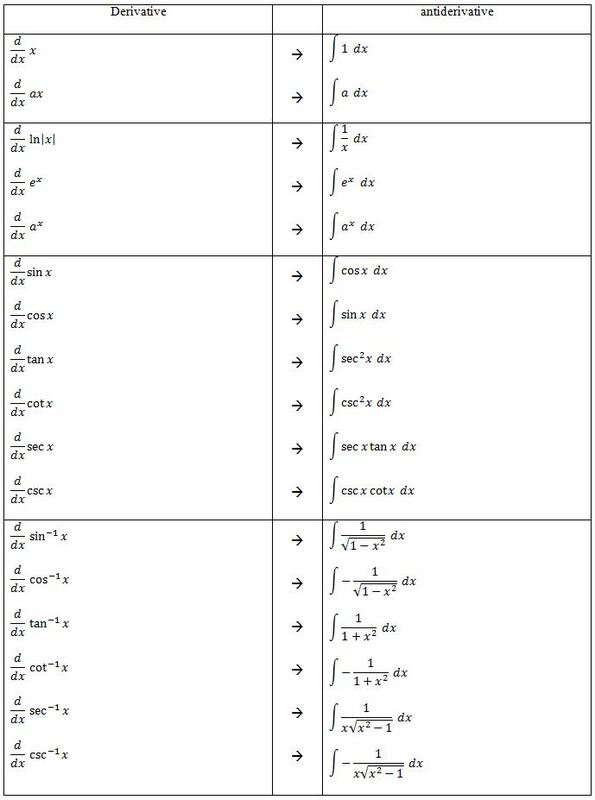 Be Sure to download the antiderivate table. It is very handy when you are studying, working on calculus assignments, or making a cheat sheet for your exams. In this section, we will examine closely the difference between a derivative and an anti-derivative. Always remember that the anti-derivative has a constant of integration. Once we understand the concept of anti-derivatives, we will look at the anti-derivative of polynomials and anti-derivative of rational functions. We will then take a look at harder functions such as irrational functions and trigonometric functions. Once we have a general understanding of the concept, we will actually find the constant of integration using initial conditions. Lastly, we will apply anti-derivatives to real life applications such as position, velocity, and acceleration. Find the antiderivative of each of the following functions. Find the derivatives and antiderivatives of the following common functions.